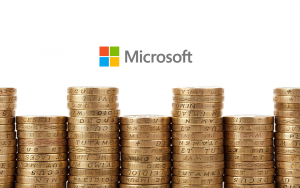 Unfortunately Microsoft have also seized the opportunity to inflict a 22% price hike across all their products as of 1st January 2017. Of course they blame Brexit and the weak pound, which seems a very convenient excuse. As the market leader with a 52% share of the market against the next biggest at 26.2% (Apple), then we will all have to fall in line. Why didn’t they give our customers a discount in 2008 when the GBP was over $2 to £1 and they were clearly raking it in ? Why have other US software houses not increased their prices as well ? The average GBP/USD rate over the last 10-15 years is circa $1.55 / GBP. We currently site 30 Cents lower, so this is 19% difference. So we are still paying 3% more and any increase is locked in further profit for Microsoft. So the bad news is we will be increasing prices on Microsoft products, but the good news is we are still here supporting you and fighting your corner.